Q1. A good rule of thumb for “strong” passwords is that they follow which of the following guidelines? Q2. Which of the following are the main reasons why security attacks occur? Q3. Which of the following are the main categories of threats? Q4. Which of the following are major network attack types? Q5. Which of the following are considered to be intruders on a computer system? Q6. An intruder who enjoys the challenge of being able to bypass security measures is considered intruding for which of the following reasons? F. None of these answers are correct. Q7. Which of the following areas of the network are the most susceptible to configuration errors affecting security? Q8. Which of the following are methods for performing a fabrication access attack? (Select all that apply)? Q9. Politics within an organization can cause a lack of _____ within the security policies. Q10. A good disaster recovery plan must include contingencies for both _____ and _____ security breaches. Q11. 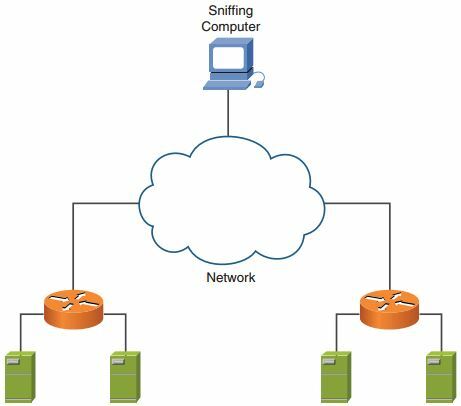 Unauthorized network access is made easier when _____ are implemented on the network. Q12. _____ are individuals who have extensive knowledge of telephone networks and switching equipment. Q13. Hackers with malicious intent are referred to as _____. Q14. _____ scans scan the service ports of a single host and request different services at each port. Q15. The most effective way to protect your sensitive data is to save it in an _____ format or to send it through an _____ connection. Q16. The five core reasons for intruding on a system or network include _____. Answer: curiosity, fun and pride, revenge, profit, and political purposes.